My friend Susan Getgood is speaking on Tuesday’s Blogging with Integrity webinar, and I encourage everyone who is interested in learning what is best practice in terms of blogger outreach to check it out. Susan and I worked together many moons ago when the dot-com trend was bubbling up, but she’s since gone on to become a leading voice in the marketing and communications blogosphere. She is co-founder and managing director of Blog With Integrity. She blogs at Marketing Roadmaps and her first book, Professional Blogging for Dummies (Wiley) will be published in July 2010. Blogging with Integrity serves as an independent, informational resource for the blogging and business communities. It works with the US government, individuals and organisations to promote the principles of the Blog with Integrity pledge. Joining Susan on the webinar is David Wescott, VP, APCO Worldwide and member of Blog with Integrity Advisory Board and a panel of bloggers including, Beth Blecherman, Tech Mamas, Michelle Madhok, SHEfinds.com and Tim Hurst, ecopolitology.org. The webinar takes place Tuesday 6 April , 2010, 17.00– 18:30 BST and is sponsored by the Council of Public Relations Firms. It’s US $95 for Council of Public Relations Firms members (You can register through the Council). Or pay the general public rate of US $150. 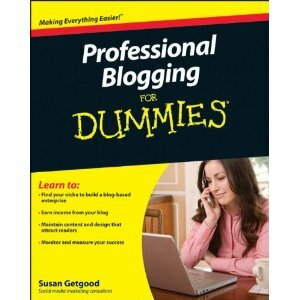 Either way, it’s an excellent investment in getting to grips with blogger relations.